The Colorado Avalanche dealt their way into the trade deadline conversation. As mentioned, The Avs acquired forward Steve Downie from the Tampa Bay Lightning. The team also involved themselves in a trade with the San José Sharks at the deadline, sending Daniel Winnik and T.J. Galiardi, along with a 7th round pick, to the Shark Tank. Hidden among the trades were various rumors of discontent by the players being shipped out of Denver. Last year, the same sort of rumblings occurred with trades involving the Avalanche. All of this rumored discontent begs the question: What has happened in Colorado? Top minutes grabber Kyle Quincey fired the first salvo this year against the organization, after being part of the Downie trade. He mentioned the culture created by the organization kept many players on edge and worried about their future with the organization. Quincey also stated,”I truly believe, if you have confidence in a player, then give it to them, show it to them.” This is in reference to the fact that, on their current roster, only seven players have contracts through this season. 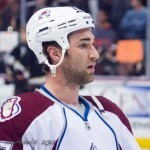 As for Galiardi, TSN as well as several message boards around the net reported not only did T.J. come to camp slightly overweight, but that he also was at odds with Avalanche head coach Joe Sacco. If those rumors are true, it makes sense that both sides would prefer a fresh start. Stewart and Anderson, two major pieces to Colorado’s rebuilding when they were in Denver, have never outright stated these same problems with Sacco, although they have hinted at it. Current player’s on the roster also are having struggles visibly with Sacco, Early in the year, the coach had Matt Duchene playing on the fourth line to break him out of a slump. It is easy to see why that sort of roster move could actually further ruin a player’s confidence in both himself and the organization, like Quincey alluded. Certainly, a player who seems to play with emotions like Chris Stewart would find himself at odds in this system. Rumors of that caliber certainly weigh on a franchise. If true, the organization certainly needs to find a way to correct issues concerning morale. It could be as easy as moving on from either Sacco or GM Greg Sherman (even both). In order to return to prominence, the team needs to not only be able to keep their own players, but also be seen as a destination for free agents. With rumors circling, it could be hard to corral a Zach Parise or Ryan Suter to help solidify a top spot in the Western Conference. The recent moves, acquiring Steve Downie and Jamie Mcginn, may see a turning point in the culture of the team. Both players definitely will bring significantly more aggressive play to the game on the ice, which could ease tensions for other players in the locker room. For example, David Jones, who was behind almost every trade rumor involving the Avalanche, seems to have relaxed since Downie has been in the lineup. In today’s sports climate, when rosters change dramatically every year, it is important for an organization to make the players feel as comfortable as possible during their stay with the team. If these rumors (I should stress most of these were never actually published, simply speculation at this point) are true, then Colorado could be in more trouble than it seems. The team has played well of late, and certainly has shown its potential. 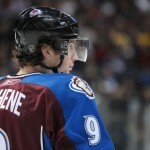 The Avalanche would be wise not to chase their young players away because of an unwelcoming atmosphere.